The Place Tucked at the ninth floor of M Hotel Singapore at Tanjong Pagar, Hokkaido Sushi Restaurant serve up both omakase set menu and ala carte buffet, with the latter launched earlier this year. Branding themselves as a hidden gem in the heart of Singapore’s CBD district, we have got to agree just by looking at their pricing of S$48++ per pax for their lunch buffet and S$55++ per pax for their dinner buffet – there’s an ongoing promotion with the buffet at only S$38++ and S$43++ respectively! Although the restaurant may not be the newest in town, you probably wouldn’t complain much with the affordable buffet and the spread with more than 70 selections. 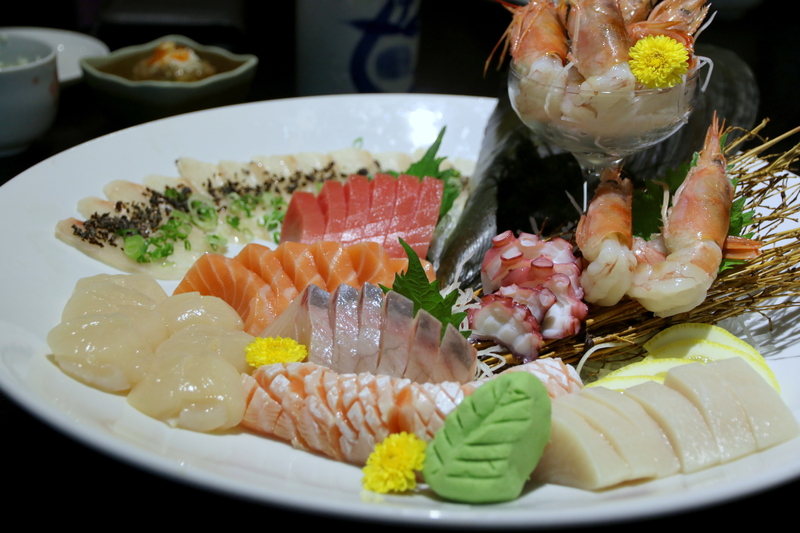 The Food Hokkaido Sushi Restaurant pride themselves for flying their seafood from Japan twice a week, ensuring only the freshest gets serve here. Free-flow Sashimi of Maguro, Hamachi, Tako and Mekajiki, together with an one order only platter of Hotate, Botan Ebi and Truffle Tai. During our visit, the sashimi were indeed very fresh, and if their quality remains consistent, this is definitely a must-visit Japanese buffet in Singapore. To start the meal with the sashimi, go for the Ikura Chawanmushi and Pitan Tofu here. Am a fan of pitan, also known as century eggs, and the pitan tofu captures the right essence and we could not resist to have another serving of that. For sushi, we highly recommend their Aburi Salmon Mentaiko, seriously you cannot go that wrong with this. Another recommended sushi is their Hamachi Truffle, done simply by drizzling truffle oil on the hamachi sashimi slices. You get to choose from Maki and Temaki selections on their menu too, although these options came across as pedestrian. For the hot food, go for the Ebi and Yasai Tempura, Wagyu with Mushroom and the grilled fish options, including Salmon Shioyaki and Ginkaeri Shioyaki. Complete the dinner with their Garlic Fried Rice and Miso Soup, that should cap a hearty buffet dinner at Hokkaido Sushi Restaurant. Rants Not everything here was a hit and the decor could come across as a tad sleepy. Will I return again? For the price, you are probably looking at one of the more affordable quality Japanese buffet in Singapore, and it’s central location will work in everyone’s favour. That said, don’t come here for its buffet expecting a star-worthy experience.